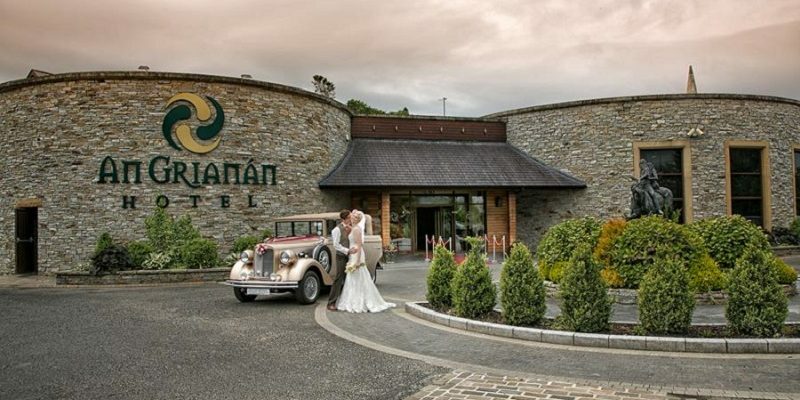 August 2015 saw An Grianan Hotel celebrate their 850th wedding at the hotel since 2006, as their reputation as wedding specialists continues. 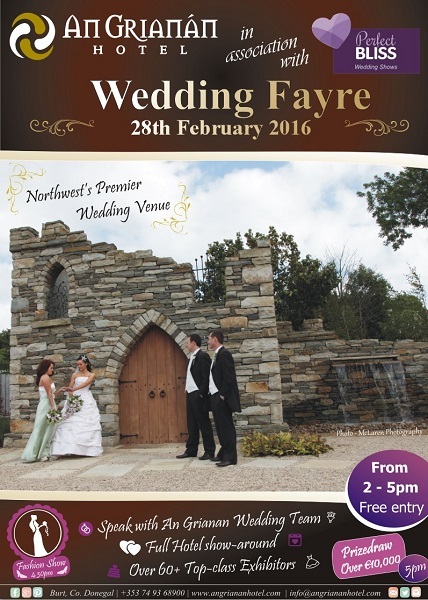 For an opportunity to find out more about An Grianan Hotel’s wedding offering be sure to attend the Wedding Fayre on 28th February. The Fayre runs from 2-5pm and is free admission for all. 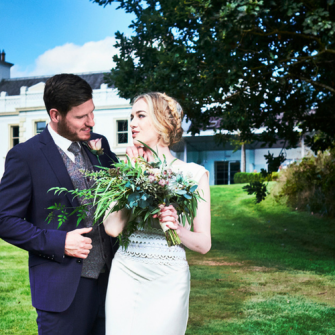 The event is a chance to speak to the knowledgeable wedding team, ask questions and get a feel for An Grianan Hotel as your dream venue. With over 60+ top class exhibitors, fantastic prize draws, and a full hotel show-around, this is an event not to be missed. Where else would you rather share that ‘Special Day?’ than, in the picturesque rural setting of An Grianan Hotel, Inishowen, Donegal. Laced with elegance and oozing quality and class our hotel is perfectly poised to make the most memorable day of your life ‘truly Special’. 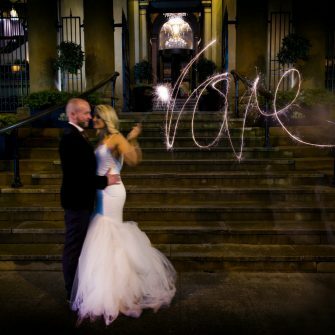 From the minute you come through the stone wall entrance to the second you leave, our aim is to treat you and your guests like Royalty and make sure that it’s the best day of your lives. 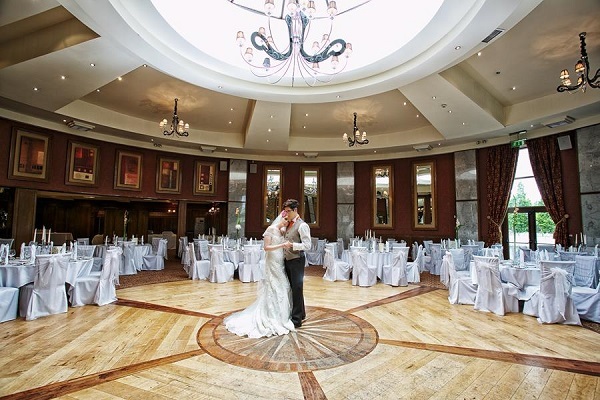 On your Wedding Day, guests are met with the glorious ‘Tuatha De Danann Suite’. Our main function room is capable of hosting up to 300 guests. Boasts an unrivalled circular shape that adds a touch of class to the day. The circular shape gains it’s inspiration from the fantastic Ring Fort (Grianan of Aileach) resting on the hill shadowing the Hotel. A beautiful feature that stands An Grianan Hotel apart from the competition. 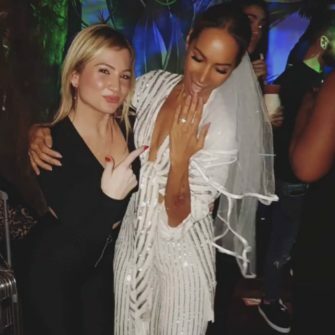 The Happy Couple can opt for a traditional top table or they can sit in the centre of the room and enjoy the intimacy of their friends and relatives. The function room is tastefully furnished and has a large central dome which allows the sun to flood in and bathe the room in a ‘natural warm glow’. Let us help you out. 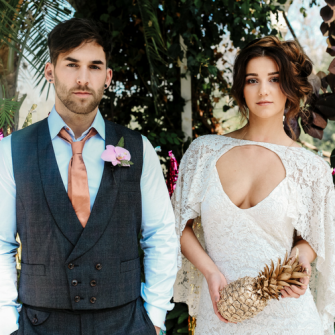 How To Drop A Dress Size Before Your Wedding? Subscribe to our mailing list for a chance to win one of our amazing competitions!